Blackrock Hollow is a contemporary new development located on the outskirts of Newtownards. Featuring a range of 3 bedroom detached and semi-detached houses, the development is ideally located close to the main Belfast and Bangor commuter routes. The development is a joint venture between Rock Developments and JH Turkington. MKB Law act on behalf of the vendors and we are delighted to be associated with the project. 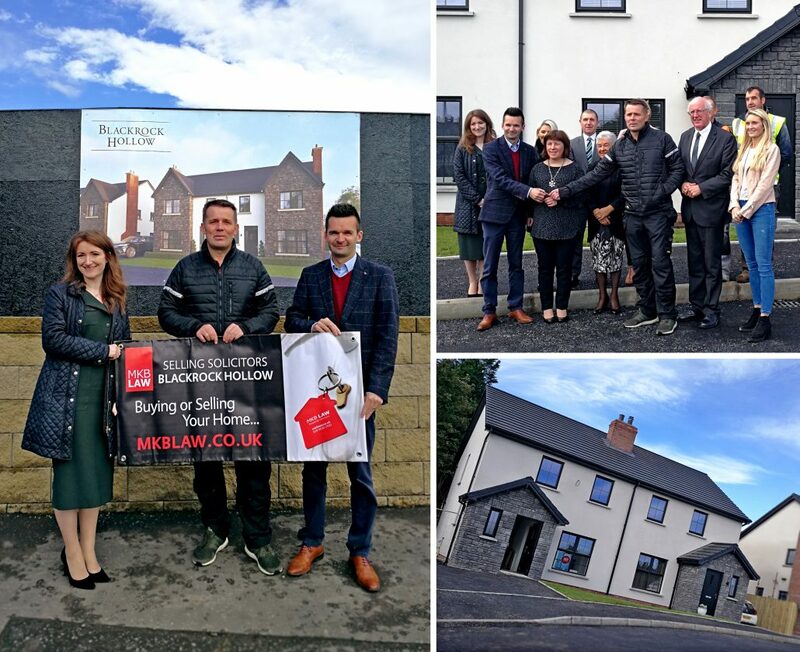 With the recent completion of Blackrock Hollow Site 2, MKB Law were pleased to visit to celebrate the development’s first sale! Property solicitor, Genevieve Cathcart, welcomed the new homeowner to the development alongside Graham Donnan (Rock Developments), Gary Turkington (Turkington), representatives from Pinkertons and local MP, Jim Shannon. Phase 1 of the development is now sold out – interest for phase 2 can be registered with the selling agents. Pinkertons and Simon Brien Residential are joint selling agents for the properties.